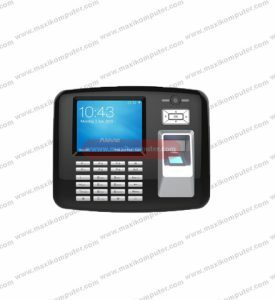 OA1000Pro is an Anviz fingerprint identification flagship product, based on the Linux operating system, featuring: dual-core high-speed CPU; large memory support; and 1: 10000 matching speed of less than 0.5 seconds. Take advantage of flexible networking with a variety of network connections: TCP/IP, optional WIFI or 3G communication modules. The OA1000Pro features a built-in webserver, allowing convenient access to the device settings and record searching. OA1000Pro with Anviz Crosschex Cloud system, reduces the cost of system configuration and the mobile APP provide the great flexibility for enterprise management.